What dog has big brown eyes, a smiling face and a tongue that rarely stays inside their mouth? The Golden Retriever! The Golden Retriever is a large dog with a loving and loyal personality, that knows what it means to be part of a family. They love spending time with their humans, and they will be there for you no matter what it is and no matter what happens. Few other dog breeds are as gentle and child-friendly; especially considering their size, and it is no surprise that this breed places among the 10 most popular dog breeds in the United States. Got a Golden? 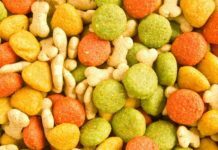 Fuel him or her with the best dog food for Golden Retrievers! Golden Retrievers have a reputation for being the perfect dog for families with children, something they have earned thanks to their gentle temperament and loving personality. 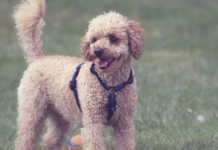 There are few dog breeds that are as patient, focused and sweet as this gold coated goofball of a dog, and they are the perfect mix of active, playful, loyal and cuddly; which makes them the perfect match for an active and outdoorsy family with kids. One thing that prospective Golden Retriever puppy buyers should be aware of is that the breed takes long to mature and will often not lose their puppy silliness until they are around 3-4 years old, which is significantly longer than many other large breeds. It is not necessarily a bad thing since it can be incredibly charming, but it is something to take into consideration before deciding if a Golden Retriever is right for you and your family. Raising a puppy takes a lot of patience, and when bringing a Golden into your home – you might have to be prepared to be patient a little bit longer than with other breeds. Other than that, it is hard to find any downsides to the temperament of a Golden Retriever, as they are overall great dogs with a lot to offer for the right person. They have the loyalty of a perfect companion, the gentle touch required of a good family dog, they are perfectly happy hanging out with the family in front of the TV on a Friday night and they love a good run-around in the backyard or at the dog park. Their versatility is what makes them one of the best all-around dog breeds, and when treated with the love and respect they deserve – there are few (if any?) negative things to say about the temperament of the Golden Retriever. Golden Retrievers are eager to please, and at times it can almost seem as if they are consciously trying to make you laugh and to put you in a good mood. They are very tuned in with the feelings of their human family members; which means they can tell when something isn’t quite right, and they will go out of their ways to make you feel better. This lovely breed also has a habit of carrying items around in their mouths, which comes from their retrieving background and should not be considered an issue. Just make sure to provide them with safe toys to carry around or train them to help you carry items such as a wallet or their own leash, or to retrieve items (such as kids toys) from the ground and give them to you or place them in an assigned area (like a toy box). 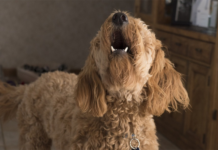 This is something your Golden Retriever is likely to love, and while it is a behavior rather than a temperamental quality; it does speak for- and encourage their gentle ways and their ability to use their mouths without causing damage. The breed is friendly; both towards people and other dogs, and they tend to make friends at the dog park in no time! Their friendly nature makes them easy to integrate in a family, a new situation, with a dog sitter and at doggy daycare, which facilitates life for any Golden Retriever owner. Where some dog breeds can be stand-offish to strangers and people they don’t know well – the Golden Retriever will often love whoever will agree to give them a pat on the head or a belly rub. Most Golden Retrievers are social and love spending time with their humans, which makes them great dogs for working with demanding tasks; such as in law enforcement and as service dogs for the disabled. They don’t tend to be shy or withdrawn, but every once in a while, you get a puppy in the litter that isn’t quite as keen to be the center of attention. They might grow up to be more timid dogs that keep to themselves (compared to many Golden Retrievers that seem to have absolutely no understanding of the concept of personal space), which is considered normal since all dogs are individuals and all dogs are different but somewhat atypical for a Golden Retriever. Withdrawn behavior can also be a result of past bad experiences and are often seen in Golden Retriever rescues and those that have changed homes a lot during the first few years of their lives. While not a cause for concern, it is not a behavior that is considered to be typical or even common for a Golden Retriever, but it does occur in some individuals. It is rare for Golden Retrievers to show aggressive behavior; especially towards their own family or other people, since it is not in their nature to act aggressively and/or bite. It is a dog breed that was bred to use their mouth to carry pray without harming it, and while they can be very playful and use their mouths while they play – it is a rare occurrence for a Golden Retriever to ever bite down hard. 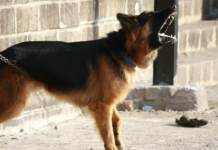 This, of course, does not mean it cannot happen, as any dog can be provoked or bite to defend themselves. It is especially important to always supervise a child’s interaction with a family dog, because no matter how kind and gentle the dog is – children can be very intense since they don’t always know and understand what is okay and what is not when it comes to playing with a dog. Aggression in a Golden Retriever is rare to the point that it can often be a sign of a health issue; either physical or psychological, and any such signs should be discussed with a veterinarian. 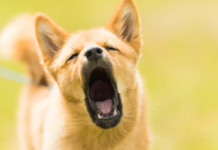 Pain can demonstrate itself as aggression in many dogs, regardless of breed, as a way to keep people from touching them and inflicting further discomfort. If your Golden Retriever shows sudden signs of aggression; especially if it is something you haven’t noticed before, then it is time to make an appointment with a trusted veterinarian. 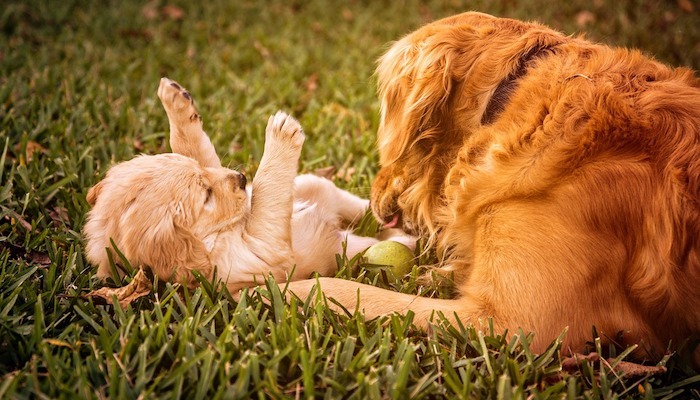 Keep in mind that puppy playfulness and puppy nipping should not be taken for aggressive behavior, but sudden aggressive manifestations in adults should, since aggression is not a typical behavior for a Golden Retriever. There is no doubt about the Golden Retriever being an excellent dog to train and work with! They are intelligent, patient, attentive and sharp, which are great attributes when it comes to successful dog training. This is also the reason to why Golden Retrievers are often used as service dogs, in the police force, to sniff for narcotics at airports and more, as well as in sports like Agility and Freestyle, and why they frequently place high in dog obedience competitions. If you want a dog you can work with and train together with, and a dog that will love training and learning new things – the Golden Retriever is definitely an option to consider. They are great listeners and enthusiastic learners and tend to feel good about themselves when given a job to do or a task to carry out. Previous articleWhat Is Lurking in Your Dog’s Water Bowl?